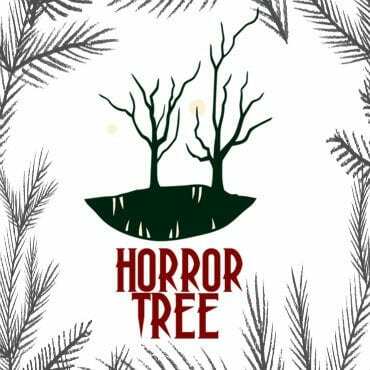 Alyson – Hi Nina and welcome to the Horror Tree. Can you tell us something about yourself? Your beginnings? And how long you’ve been writing? Nina – As a child, I had vivid nightmares – the kind where I’d fall out of bed terrified. I also had an active imagination, so I’d see things. This combination filled my head with eerie stories I sometimes wished were true. I was the oldest child in my family, but I had a dream where a young woman visited me at night and told me she was my big sister. She would sneak me from the house and we would fly through the night on vigilante adventures. As a Catholic second-grader, I’d share this story on the playground to such an attentive group of friends that I’d add chapters on the spot. Eventually, the nuns took me aside to verify if these stories were true. “The other children are afraid these are real. 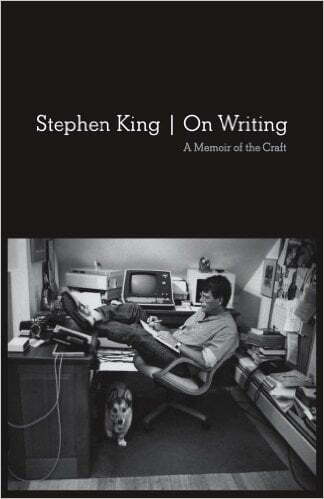 Maybe you should just write your stories down.” It was a thrill to keep their attention, to seize their imaginations, and to give them a little scare, so I began to write. Alyson – Growing up which books made an impact on you? Who were your favourite authors? Nina – My first chapter book was a Nancy Drew mystery. I devoured those and the Hardy Boys series. My English Nana sent me a book of fairy tales – not the Disneyfied versions – the original, nitty-gritty, little mermaid getting her tongue cut out tales. I loved them! And while I loved ghosts, I also adored the Christopher Robin poetry of A.A. Milne and stories about fairies and the Borrowers and the little people who created magic around us. I was also obsessed with illustrated encyclopedias. I memorized all the ordinary and exotic animals and plants I could the way other kids memorize train or baseball facts. Alyson – Have you always been interested in history and legend? Nina – I remember being fascinated by early American history because the stories were about people who left England to come to America. Like my mother, I imagined. She left her mother, her brothers and sisters to come to the USA and this both amazed and terrified me. My fascination was cemented by 4th grade when Indiana schools require a year of intensive Indiana history lessons. This included not only reading history, but creating drums, dioramas of battles, and even cooking old recipes. This made history very real to me. Alyson – How much does living in Indiana, USA influence your work? The physical geography of the area for instance? Nina – I grew up roaming the woods around our house, creating make-believe lands, climbing trees, and adventuring to creeks to watch tadpoles. While I enjoyed this freedom, there were dangers. A fire raged through those woods and threatened our home twice. One beautiful day, I happened upon a dead wild turkey. A local boy had shot it, stripped all the feathers, and left it sprawled on a fallen tree. It was gruesome and a waste. I’ll never forget it. The Indiana landscape, the contrast of natural beauty and danger, always sneaks its way into my work. Alyson – I was intrigued to read on your blog about your volunteer work at Indiana Cemetery Works, on headstone restoration, could you tell us more about this? Nina – Indiana Cemetery Works is dedicated to keeping historic figures alive by maintaining their burial sites. I restore headstones by removing lichen, walnut stains, and general dirt and grime. We also reset stones that have heaved over and mend cracks. We’ve been fundraising for a special lift to assist with the larger stones and obelisks. It’s quite dangerous work, actually! For years, we’ve focused on the anti-Slavery Friends Cemetery. This is the final resting place of Quakers who were excommunicated for assisting in the Underground Railroad. Nina – My mother introduced me to Hitchcock and other horror films when I was very young. I remember watching black and white films, introduced by a host called Svengoolie. He’s a Chicago legend. My sister and I loved his camp humour and we’d create colouring books about the films. The Hand, The Brain, The Creature from the Black Lagoon. Really junky horror, but we loved it. I still love horror films, but I watch less slash and gore and more supernatural, psychological suspense like Babadook, The Witch, I Am the Pretty Thing that Lives in the House. Alyson – Do you have a particular routine to your writing day? Or a special place you write in? Nina – I’m lucky to have a wonderful home office. Truly, it’s the office of someone much more successful than myself. A lovely napping sofa, books everywhere. But if I need a fresh look at a story, I sometimes tote my notes to other locations. I’ve written in coffee shops, the Indianapolis Museum of Art, and the Crown Hill Cemetery. Nina – It depends on the story. I use two monitors on my desk. If a story’s set in the past, I’ll research clothing, slang words, architecture, and even play music from that time on one monitor while I write on the other. It’s as close as I can get to time travel! I also regularly visit sites of local legends or participate in ghost investigations. The locations fill my brain with scenes, vivid details, and the experience reminds me of those little things that can terrify the most reasonable mind. Alyson – Your short story ‘Frigid’ won Mythraeum’s Pygmalion contest and has been filmed as a short film which I gather is now being edited; is this a first for you? When will the film be released? How involved in the filming were you? Nina – Yes, this is my first story to be made into a film. I hope there will be many more! Mythraeum purchased the film rights and producer/writer Leslie Hedrick adapted it into a screenplay. A story takes a new shape as it shifts from page to film, so my goal was to be the easiest writer for a filmmaker to work with. I didn’t want to stunt the next steps in the creative process. For the casting call, Leslie explained naming my main character would help the actor connect to the role. She’d chosen the name Henry. I was thrilled because, of all the names she could have chosen, this name holds special memories for me. This confirmed my story was in the best creative hands for this project! I didn’t make it out to Colorado for the filming days, but I was kept in the loop with regular updates. At one point, filming was delayed because the lake wasn’t frozen enough. At another point, a main actor had to be replaced due to laryngitis. Alyson – Writing is a solitary business – how do you interact with other authors? Nina – I belong to a local writer’s group where we simply encourage each other to keep writing. I attend some author conventions and, specifically, am attending StokerCon 2019. I enjoy supporting other authors by reading and reviewing their work – especially those who publish independent or through smaller presses. Alyson – What projects are you currently working on? Nina – My first dark science fiction story “Regolith” is coming out this summer in the Terra Nullius anthology. It’s one of three amazing science fiction anthologies being published by Kristell Ink this year. I’m completing my first short story collection this year: Frigid and Other Cold-Hearted Stories. It features my original story with a bonus scene plus new as well as a few previously published stories about characters who commit cold-hearted behavior. I’ll follow up with a collection focused on ghosts and the supernatural and I’ve started a narrative memoir filled with stories and photos from my ghost investigations. Nina – Read writers you love and try to figure out why you love their stories. Then, make time to write. Write absolute rubbish just to get your story down. You can’t be a writer if you don’t write, write, write. And don’t get discouraged if your idea isn’t “new”. No idea’s truly new. It’s all been done. It’s your point of view, your voice, your unique angle that matters, that makes it fresh. Go ahead. Write about vampires and zombies, just make them yours.